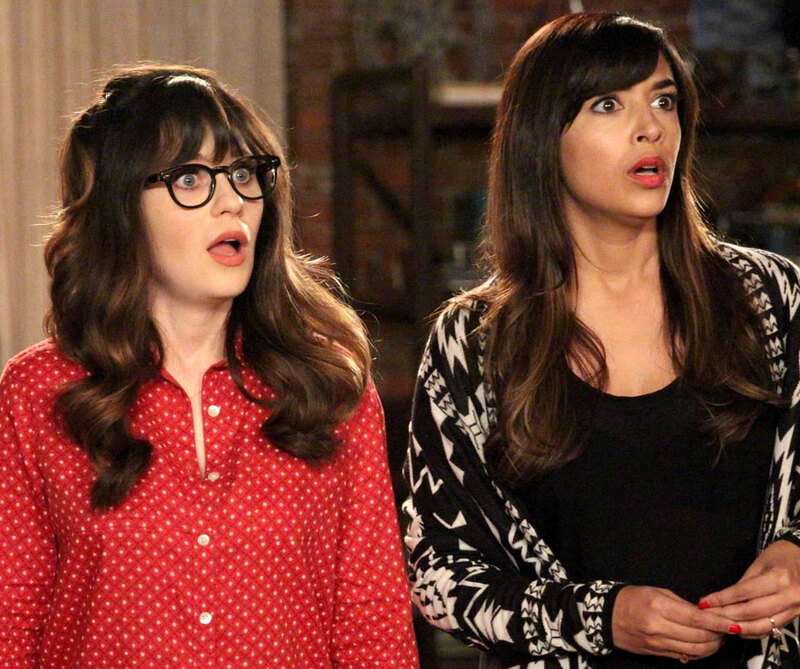 The fifth season of New Girl (2016) had the potential to be the show’s strongest to date, with the Schmidt-and-Cece-Wedding arc providing a solid structural spine and a fertile new source of stories and jokes… unfortunately the star of the show, Zooey Deschanel, ended the previous season with a bun slow-baking in her oven, resulting in her absence from a significant number of episodes here, including the show’s landmark 100th instalment! Her maternity leave was covered by Megan Fox, playing a ball-bustin’ pharmaceutical sales rep named ‘Reagan’, who’s introduced to the show in an unnecessarily awkward and obtrusive way, as a random hottie that the guys scope out in a hospital reception area, and then lustily invite to stay in their loft apartment, to help cover Jess’s share of the rent… which is implausible enough in itself, but once they’d all arrived back at home-base, ‘Cece’ (Hannah Simone) recognised Reagan as a former friend/lover from her early modelling days, thus inflaming her fiancé’s smouldering jealousy. 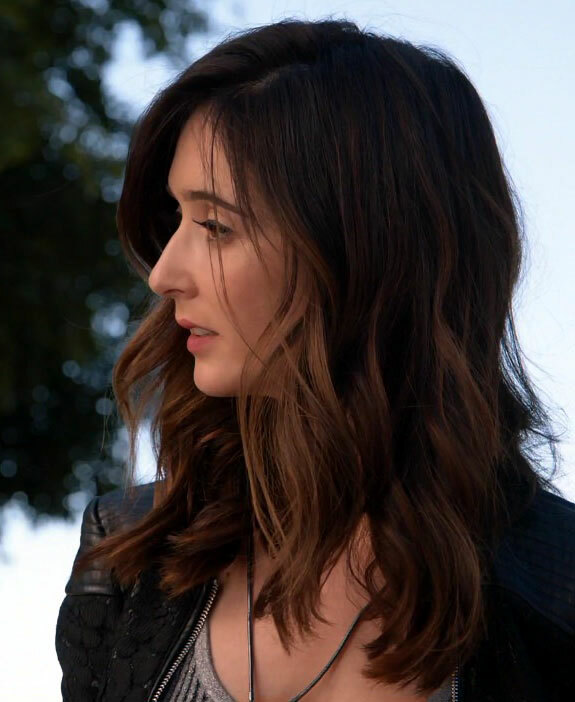 So, why couldn’t the writers have just gone with that much simpler explanation for her presence in the apartment (old girlfriend in town for work assignment needs a place to crash), and skipped the whole meet-creepy in the hospital? Gah! 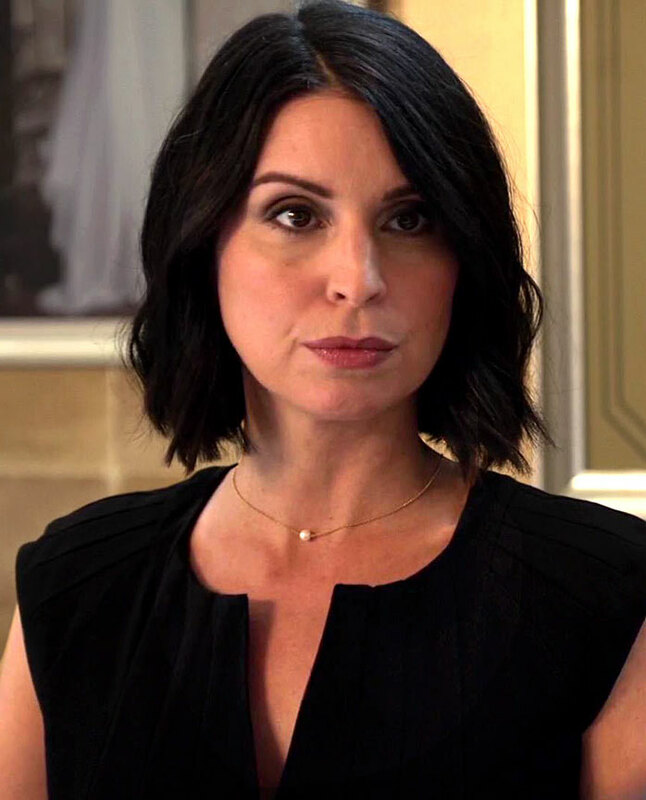 I was also a little perturbed by the way that Reagan was pitched as “The Most Desirable Woman in the World”, with ‘Nick’ (Jake Johnson) in particular acting as if she was so far out of his league they weren’t even playing the same sport… despite the fact that in previous seasons he’s dated women played by Olivia Munn (ep #2.10-12), Maria Thayer (ep #2.6), Lake Bell (ep #1.4), and Lizzy Caplan (ep #1.10-11/13-14), as well as Deschanel herself… all of whom I’d personally rate above Fox, in terms of desirability. Of course, that’s totally subjective… and I understand that the writers were trying to sell a Nick-has-low-self-esteem-that-only-Jess-can-snap-him-out-of subplot here… but even so, I feel it’s vitally important that the internet know I wouldn’t trade one Thayer for a thousand Foxes. In fact, I’d genuinely forgotten who her character even was by the time the gang started fretting about wedding invites… and when Nick gave the object-of-his-long-distance-lust a fretful name-check, I drew a total blank, despite having seen her run of episodes only a couple days earlier… though that might have more to do with my advancing age than the character’s impact…? “A Chill Day In” (ep #5.18) saw Jess arranging a (theoretically) low-key bachelorette party for her long-time bestie, involving the ingestion of strong weed and the worshipful viewing of Anne Of Green Gables… only for their buzz to be severely harshed by the arrival (and subsequent destruction) of a bread-maker sent by ‘Schmidt’s (Max Greenfield) mother, along with a bitchy card casting aspersions on her future daughter-in-law’s relative lack of baking/cooking skills. This kicked-off an epic quest to replace said gift, replete with fantastically bizarre stoner shenanigans and non-sequiturs. Admittedly I was still a little amped up on caffeine and post-Comic-Con adrenaline when I watched it, but I thought this was the funniest twenty-plus minutes of sit-comedy I’d ever seen! High-Jess & High-Cece were so hilariously random, I loved pretty much everything they said and did in their altered state, so major snaps to Deschanel and Simone for their incredible performances here, and to script-writer Sarah Tapscott for putting all those nonsensical words into their mouths. 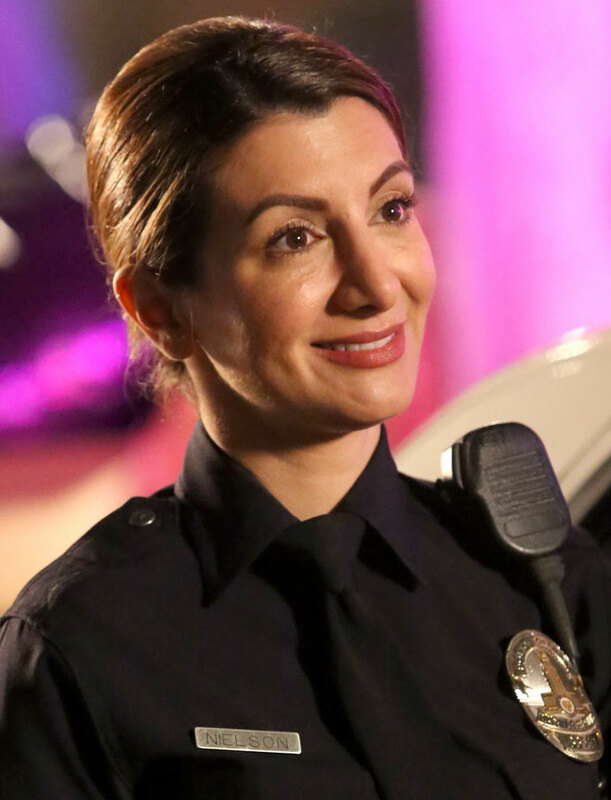 Fun fact: She’s also credited with writing five episodes of Kroll Show, and I dolphinately think that experience paid off here! 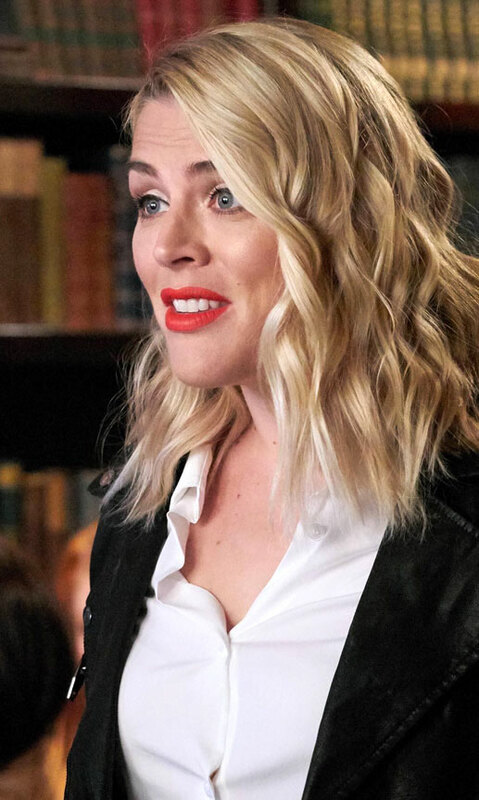 Busy Philipps as ‘Connie’, the stressed-out owner of an upscale bar across the street from the gang’s regular hang-out (which Nick and Schmidt have now invested in as part-owners) (ep #5.14)… Sonequa Martin-Green as ‘Rhonda’, a girlfriend of Winston’s who is just a couple crazy pranks away from becoming a full-on Batman villain (#5.15)… Kat Palardy as the beleaguered ‘Lady Employee’ who has to talk some sense into High-Jess and High-Cece, when they try to return the battered bread-maker (#5.18)… Caitlin FitzGerald as ‘Diane’, a pining platonic female friend of Sam’s, who is clearly his True Love (#5.20)… Kim Wayans as ‘Susan’, the long-time lesbian life-partner of Schmidt’s mother ‘Louise’ (Nora Dunn) (#5.21-22)… and finally, Sonal Shah as a ‘Flight Attendant’ aboard the grounded plane that (almost) torpedoes Schmidt & Cece’s wedding (if you’ll forgive the slightly mixed metaphor there) (#5.22). Oh, there’s also a brief cameo by series creator Elizabeth Meriwether in ep #5.6 (aka #100) as a ‘Miserable Woman’ working in Reagan’s weird maritime-themed hotel! This entry was posted in Rants about TV and tagged Ally Maki, Anna George, Beth Dover, Busy Philipps, Caitlin FitzGerald, Clea DuVall, David Walton, Elizabeth Berkley, Elizabeth Meriwether, Gillian Vigman, Hannah Simone, Jaidan Jiron, Jake Johnson, Kat Palardy, Katie Silverman, Kiersey Clemons, Kim Wayans, Lamorne Morris, Lennon Parham, Lucy Punch, Max Greenfield, Megan Fox, Mona Sishodia, Nasim Pedrad, New Girl, Nora Dunn, Rebecca Reid, Sarah Chaney, Sarah Tapscott, Sonal Shah, Sonequa Martin-Green, Susie Abraham, Zooey Deschanel. Bookmark the permalink.